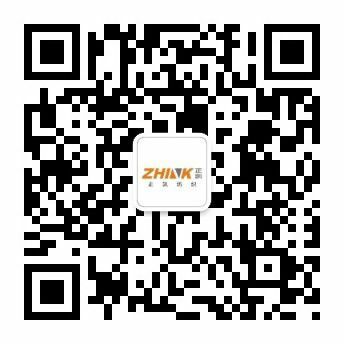 Established in 1997, Zhejiang Zhink Group Co., Ltd. is a modern group company devoted to global development of two main industries—— PET and textile. In 2017, Zhink Group reached 12.4 billion yuan in annual output value. With more than 3,000 employees, Zhink Group is headquartered in Nobel Center, Qianjiang Central City, Hangzhou, Zhejiang Province. Its subsidiaries are located in Xiaoshan Zhejiang, Haining Zhejiang, Zaozhuang Shandong, Xuzhou Jiangsu, and Fuling Chongqing respectively.Established in 1997, Zhejiang Zhink Group Co., Ltd. is a modern group company devoted to global development of two main industries—— PET and textile. In 2017, Zhink Group reached 12.4 billion yuan in annual output value. With more than 3,000 employees, Zhink Group is headquartered in Nobel Center, Qianjiang Central City, Hangzhou, Zhejiang Province. Its subsidiaries are located in Xiaoshan Zhejiang, Haining Zhejiang, Zaozhuang Shandong, Xuzhou Jiangsu, and Fuling Chongqing respectively. Zhink Group owns one listed company (stock code: 835887), three national high-tech companies, one academician workstation, two provincial technical centers, two provincial civilized units, the business of which covers more than eighty countries in the world. 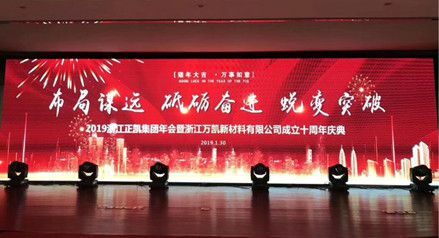 Zhink Group is awarded as “Top 500 Private Enterprises in China”, “Top 500 Private Manufacturing Industry in China”, “Top 500 Foreign Trade Private Enterprises in China”, and “Famous Enterprise in Zhejiang Province”. 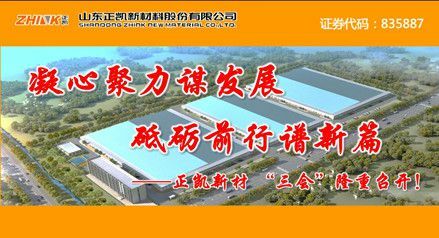 Zhejiang Wkai New Materials Co., Ltd. was established in March, 2008, affiliated with Zhejiang Zhink Group, is a professional modern company specializing in the research and development, production and sale of PET. 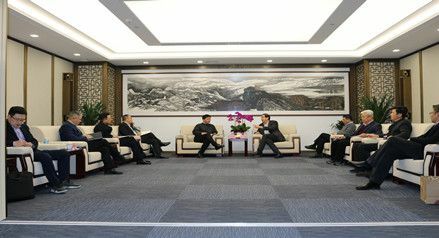 The company is located in Jianshan District Haining, covering an area of 800 acres. Wkai has invested RMB 1.9 billion in three phases of 1.2 million tons bottle-grade PET production. The first and second phase has been put on production successfully, the annual output of which together is 650,000 tons bottle-grade PET. The third phase of production is estimated to start in 2017 with an annual output of 550,000 tons. Domestic and oversea state-of-the-art production equipment has been introduced, for example CP (continuous polycondensation) device is CTIEI’s most advanced patented device, and SSP (solid state polymerization) device is BUHLER’s patented device. Honey Well’s central control system is adopted, imported electric components, instruments and control valve are used at all control points. In the meantime, self-developed IPA separate esterfication system, low temperature polymerization patented device and composite energy-saving and thermal-insulted technology are adopted to ensure a safe, stable, and efficient run of devices. Zhink Textile Co., Ltd. is a wholly-owned subsidiary of Zhejiang Zhink Group, with about 1,300 employees. It is a textile enterprise specializing in producing all kinds of elastic fabrics for female clothing. Established in 1992, Zhink Textile is located on Shenda Road Jingjiang Street Xiaoshan District Hangzhou, with about 400 internationally-advanced air jet loom and a series of matched devices. The company was granted ISO9001 Certification in 2003 and was recognized in European market in 2004. As a leading enterprise in female clothing fabrics market segmentation in China, the company enters the list of popular fabrics manufacture in China every year and wins the prize “The Most Trendsetting Chinese Textile Brand” for many years. As a strategic supplier of international brands like ZARA, CK, FOREVER21, ANNTAYLOR, so far, Zhink Textile’s products are sold not only in textile markets in Shanghai, Jiangsu and Shaoxin, but also in Spanish, France, the United States, South America, Italy, Belgium, and countries or areas in the Middle East. The products are favored by domestic and oversea consumers, and the sales performance enjoys a stable growth. 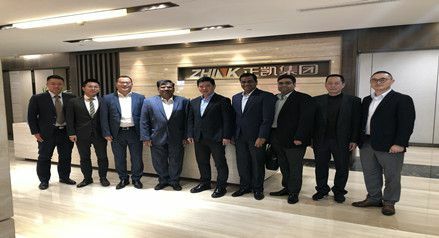 Established in August 2006, Zhink Chemical Fiber Co., Ltd. is a wholly-owned subsidiary of Zhejiang Zhink Group, which is located on Shengda Road Jingjiang Street Xiaoshan District Hangzhou, covering an area of 24,000 square meter. With about 300 employees, RMB 300 million was invested in the company. Zhink Chemical Fiber specializes in producing differential fibers (micor-fiber), with a daily output of DIY low stretch yarn and POY sheet, 120 tons and 120 tons, respectively. Recently, the company plans to invest RMB 100 million to expand land and add spinning production lines. After the project starts, the output is estimated to increase to 1 billion. The project is now under construction as planned. 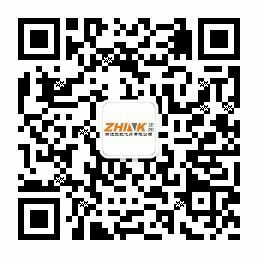 Affiliated with Zhink Group, Zhejiang Zhink Real Estate Co., Ltd. was established in 2006. 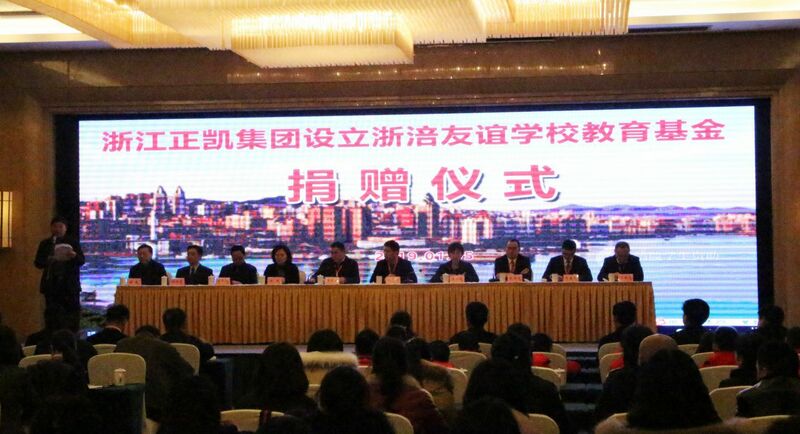 With strong brand influence and financial strength, Zhink Home has successfully built Xiaoshan chamber of commerce building, Haining Jingdu Mingting Residential Quarter, and Noble Fortune Center. Shandong Zhink New Material Co., Ltd. is a a wholly-owned holding company of Zhejiang Zhink Group with an investment of RMB 0.15 billion. In February, 2016, Shangdong Zhink New Material went public on NEEQ (stock code: 835887). 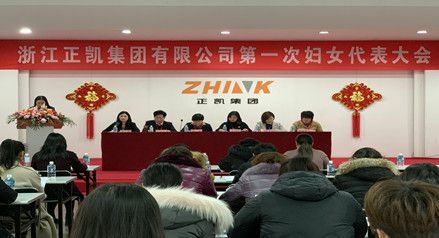 Established on March 2011, Shandong Zhink New Material is a modern private enterprise specializing in midrange and high-end yarns’ research, production, and sale. The company owns international top-ranking spinning assembly lines, which specialize in producing differentiated polyester-viscose blended male clothing’s woven yarn and high-end knitting yarn. 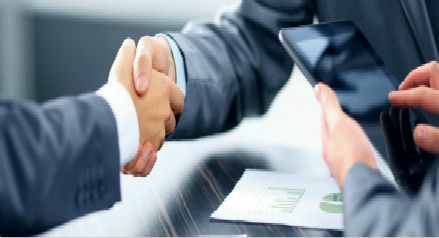 Adhering to the management idea (“quality first, continuous innovation, quick reaction”) and the marketing strategy (domestic market first, oversea market second), the company has been highly approved in a very short period of time with its product innovation and product service. So far, it has become strategic supplier of famous domestic textile enterprises. Packaging Industrial Park is located in Jianshan District, Haining, north of Hangzhou Bay. Based on Wkai’s production capacity of 1.2 million tons PET, environmentally friendly, sustainable developing, PET related upstream and downstream companies are introduced into the industrial park. 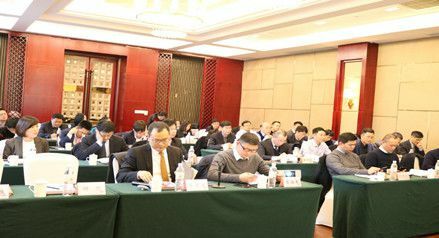 A sustainable developing new materials cluster is aimed to be formed with sufficient industry fund and scientific resource allocation. Covering an area of 510 acres, the first stage of the industrial park focuses on horizontal innovative development and longitudinal advanced development in food-grade PET chips industry and other related industries, which is managed by a professional operation team. We are committed to the people-oriented principle, we respect every employee, including their personal willingness, their right to choose, and their creativity.